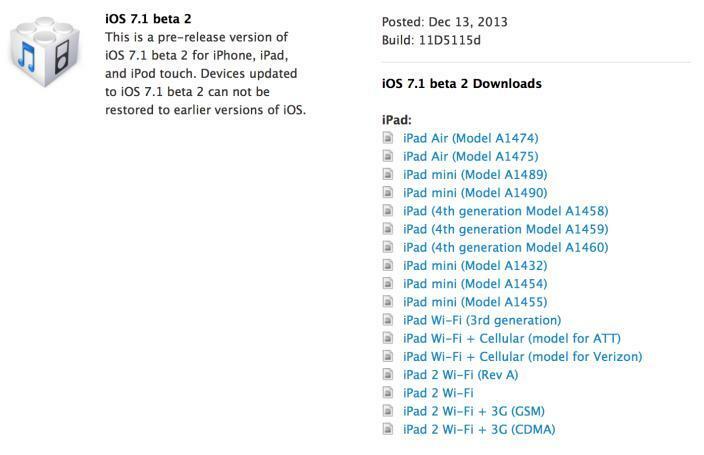 Apple on Friday rolled out iOS 7.1 beta 2 to developers, nearly one month following the initial iOS 7.1 beta. Developers can grab the beta through the familiar online developer portal, or you can simply wait for it to hit over the air. A full release log hasn't been revealed just yet, but we'll be sure to let you know as that becomes available. Once (or if) some big new features are discovered, we'll update you throughout the day. The first iOS 7.1 beta introduced some standard performance enhancements and bug fixes, and it also included a small UI change, allowing users to switch between a dark and light keyboard. Additionally, there were some subtle changes to Notification Center, and the ability to automatically upload photos shot in burst mode to your photo stream. Not too much to go nuts over, but small changes that certainly improve the experience. Notice anything new in iOS 7.1 beta 2? Update: Here are some of the known changes, via 9to5Mac. Touch ID and Passcode Settings are now more prominently displayed. Bug where all tones were the default is fixed. Control Center has a new bounce animation when you toggle it.